Contains Jeju Green Tea Extract and sunflower oil. 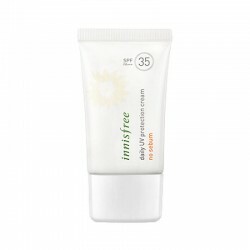 Helps prevent skin damage caused by UV rays. Highly effective sunscreen. Long lasting UV protection suitable for outdoor sweating and sebum.